You’re probably wondering what drove me to pick up these two since they don’t really correspond to what I typically read. I guess it was good old-fashioned curiosity. I’ve heard so many things about Walking Dead that I had to give it a try. It’s one of the hot American tv series at the moment and I tried that out too. I only watched the first four episodes of season one to get an idea. I left off where the guys saws his hand off to get out of some handcuffs. I’m good. 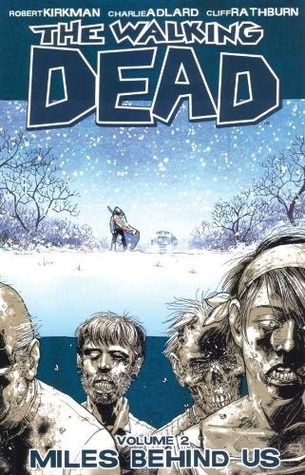 Now I have to say I’m no zombie expert or anything but I found the graphic novels not so bad. The story begins with the main protagonist Rick waking up in a hospital bed to find no living beings left there except some zombies in an enclosed operating room. He then ventures out of the hospital searching for his wife and son. He grabs a bike and rides to his home which he finds abandoned. As he leaves and is searching for anyone who can explain what’s going on he’s hit on the back of the head with a shovel and the post apocalyptic adventure begins. I read these stories in French because I was enticed into buying them while in the manga section looking for a birthday present for one of my daughters. I could read more of these but I’d really have to be in the mood, not to mention there are about 16 volumes in this series for the moment. I’ll be hitting up my local library for the others at some point. Reading Walking Dead in French didn’t change much to the story. It read very much like a film. However, they were extremely different from the television series. In my opinion the graphic novels had a better story line, while the television series is more sensationalist and the characters are pretty despicable. There is more emphasis placed on blood, guts, and shock value. The graphic novels seem to study the aspect of survival and how people behave in these extreme situations. Fidelity, love, family, and killing are other recurring themes. The artwork in book one Passé Décomposé, which is called Days Gone By in English was beautifully executed. The detail in the faces and shading in the scenery was fantastic. It was a joy to look at. As for the second book Cette Vie Derrière Nous, which is called Miles Behind Us, I had a lot of difficulty adjusting to the artwork. All the characters from the first book looked different in the second one and some even looked older than what they were in the first one. The utilisation of black ink sort of made everybody look a little crazy in book two. 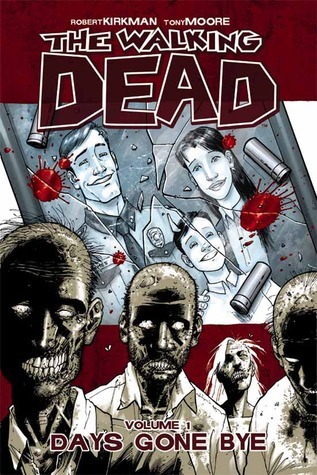 Walking Dead is written by Robert Kirkman who started in comics in the United States around 2000. The artists for book one are Charlie Adlard, who is a British comic book artist and debuted his career in the 1990s and Tony Moore another American comic book artist who worked with Robert Kirkman on another project called Battle Pope. The artistic combination was a success but in book two the artwork isn’t as personal and detailed as in book one, which is done solely by Adlard. This next graphic novel was a real surprise. I must admit that what attracted me to it was the beautiful cover and its title. How could I pass on a story about Cairo, the place where I lived for three and a half years. This is an adventure involving an Egyptian journalist, an American girl, an American/Lebanese boy, a hashish smuggler, a woman Israeli soldier, and a jinn. There’s magic, humour, fantasy, adventure, and a bit of religion. The hunt for a magical hookah which can lead to immense power. 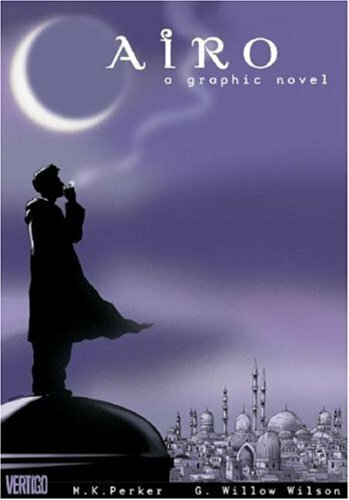 Cairo was cited as one of the Best Graphic Novels for High School Students in 2008, one of 2009’s Top Ten Graphic Novels for Teens by American Library Association and named one of the best graphic novels of 2007 by Publishers Weekly. I found this story interesting and an extremely quick read. I almost wished the story would have been a bit more complex and lasted a bit longer, maybe a part two. I enjoyed the snarky personalities of Ashraf, the drug smuggler and Tova, the Israeli soldier. The ambiance of the story was complete with references to Arabic literature and enough Arabic words to make you feel Egypt. The artwork was beautifully detailed and loved the way the mis en page was done. I liked the way there were some squares that were upside down. That really added to the story. M.K. Perker was the artist of Cairo. He is Turkish and started comic book drawing at 16 years old. He really does have a perfected technique that showed throughout the story. 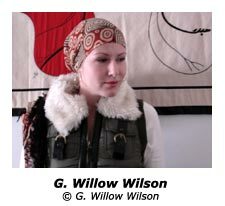 G. Willow Wilson has written other graphic novels such as Air a four-volume graphic novel, Mystic: The Tenth Apprentice, Vixen: Return of the Lion, Alif the Unseen, and The Butterfly Mosque: A Young American Woman’s Journey to Love and Islam. Wilson was born and raised in New Jersey. She was studying Arabic and history at Boston University where she eventually converted to Islam. She then moved to Cairo where she taught English and furthered her writing career. At 21 years old, she was the first Western writer to interview the current Egyptian Mufti. She was also longlisted for the Women’s Prize for fiction 2013 for her first novel Alif the Unseen. It’s a story about a young Arab-Indian hacker who protects his dishonest clients. I suggest you check out something by G. Willow Wilson because I’m sure we’ll be hearing a lot more about her.